I absolutely love everything about this piece! You really took the sketch to a whole new level. Thanks for the inspiration! Wow what a great layout. 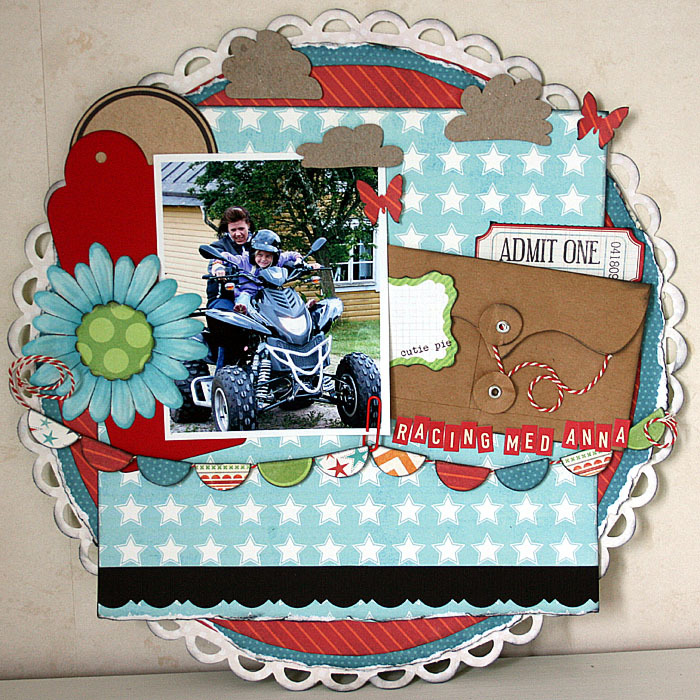 Love how you combined the colors with the craft! Nice color combo, very eye catching. Love the layering also. Wow! This is fabulous! Love the scalloped circle & the half-circle banner! Gorgeous details...thank you for playing with us at Sassy! love, love, love everything about this. the colors, the layers, the detail. thanks for playing with sassy lil' sketches.